We wrapped up seminars for the Strategy & War Course this week at the U.S. Naval War College. The Naval Diplomat always gets a little weepy when another crew of disciplined, purposeful students moves on to one of the other core courses or graduates into post-Naval War College life. (Tell no one.) During the last week of the course we look ahead for the first time, applying insights from the great strategic theorists as well as findings from the historical case studies to current and prospective controversies—contingencies in which our graduates will take a direct hand as they ascend the ranks of the military services and other federal agencies. We also return to the marine realm for the first time since we studied World War II in the Pacific in early January. That navies have taken a back seat to armies and air forces since World War II—in hot wars, at any rate—is an interesting finding in itself. Leyte Gulf, in late 1944, was history’s last major fleet battle. To date. Maritime conflicts often pit “whales” against “elephants.” A whale is predominantly a sea power. Whales encountered during our grand tour of military history include classical Athens, Great Britain in the age of Pax Britannica, and the United States since the naval buildup of the 1880s. An elephant is a continental power. Classical Sparta, Nazi Germany, and the Soviet Union were elephants. To win in such an asymmetric conflagration, one antagonist has to get at the other in its element. Whales try to overcome elephants in the terrestrial arena, and vice versa. Sparta borrowed a whale, in the form of the Persian navy. Britain made a habit of renting elephants for land warfare on the European continent in the 18th and 19th centuries. Few powers can straddle the land-sea divide. Professor Robert Ross authored an article in the late 1990s contending that an uneasy peace will prevail in the Far East well into the future. Our students read his essay during this closing week. China is a prototypical elephant. It will dominate continental Asia into the indefinite future. The United States is the Western Pacific’s alpha whale. China, prophesies Ross, will remain unchallengeable on land, America unchallengeable at sea. The result is a “geography of the peace” at the land-sea interface. Ross’s article invariably gives rise to lively in-class debates. That’s especially true in recent years, as the Chinese elephant demonstrates the ability to swim and the American whale flounders—doubtless temporarily. But this all feels a bit artificial. Is every power a whale or an elephant? Couldn’t there be hawks soaring around out there? Interwar Italian air-power theorist Giulio Douhet and retired U.S. Air Force colonel John Warden suggest so. For Douhet and Warden, warfare is all about defeating enemy air forces and bombarding enemy societies into submission. Air power can do it all! Hawks, then, are intensely offensive creatures. What would a natural air power look like? History teaches that it’s possible for, say, an elephant to transmute itself into a whale through artificial measures. By building the Long Walls connecting Athens with the nearby seaport of Piraeus, for example, land-bound Athenians made themselves into a whale. They could think of themselves as islanders, invulnerable to land assault and free to push outward at sea. Similarly, a hawk would possess some combination of natural and prepared defenses against attack from land and sea. 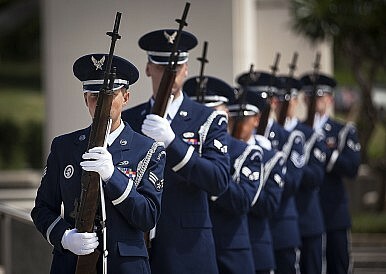 Relative immunity to attack would free the air force for offensive action. The hawk would boast lethal offensive air power,enabling its air force to strike at enemy leaders, industrial capacity, infrastructure, and military forces. ‘Pears to me there is such a thing as natural air powers, rare though they may be. So get out there, air-power enthusiasts, and convince us.